Chengdu, capital of Sichuan Province, is located in the center of the plain in west Sichuan, known as the land of heavenly kingdom. With an elevation of 500 meters, the city is slightly larger than Paris. For nearly 2500 years, it has been the economic and cultural center of the province. 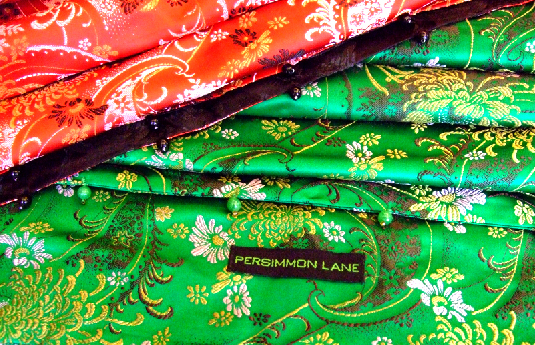 Long noted for its brocade industry, Chengdu was named Jincheng or the Brocade City in the Eastern Han Dynasty (25-220A.D.). Chengdu has a history of over 2,300 years. 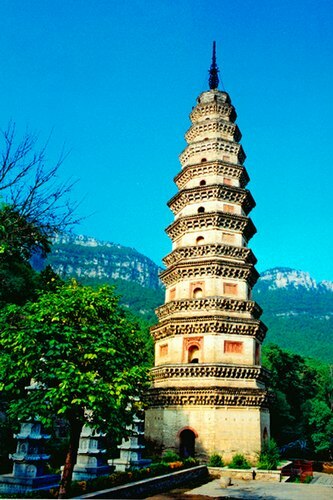 In 311 B.C., the State of Qin, during the Warring States period, established a county here. During 221-263, Chengdu was the capital of Shu, one of the three rival kingdoms. The 43 years of rule left many relics. In 1644, Zhang Xianzhong, leader of a peasant uprising, conquered the city, and established his capital here. There are at least 14 imperial mausoleums, but so far only seven have been excavated. There are many historical spots in Chengdu. 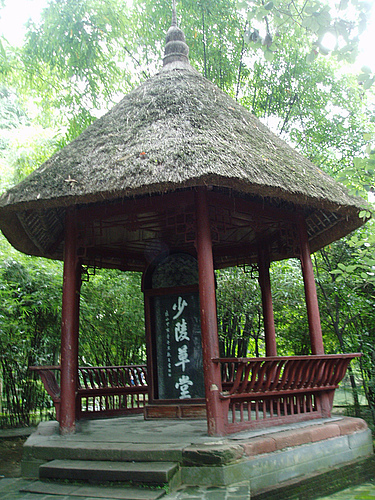 Among them, the Thatched Cottage of Du Fu, the Tomb of Wang Jian, the Dujiangyan Dam Water Conservancy Project and etc. 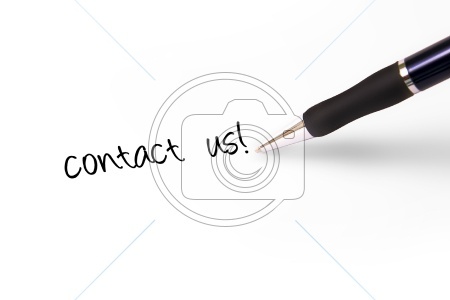 are very famous places. 130 kilometers from Chengdu, Wolong Natural Reserve is renowned as the hometown of giant pandas and the Natural Zoological and Botanical Garden. Its the earliest, largest and best-known panda reserve in China. 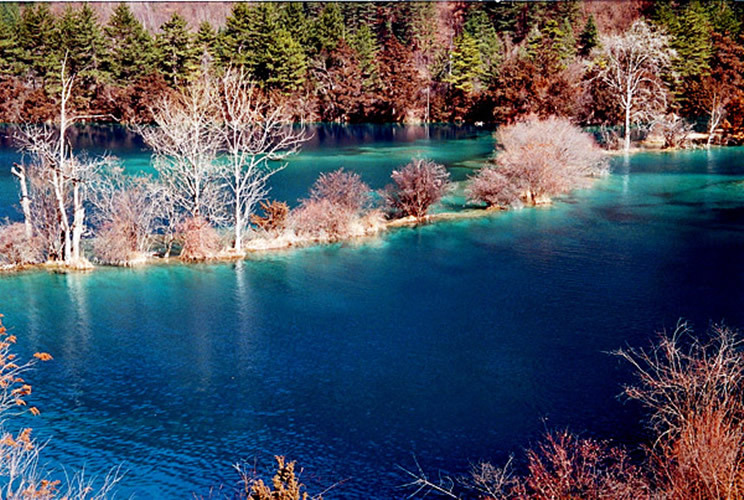 It was placed on UNESCO Man and Biosphere Reserve Network in 1980. 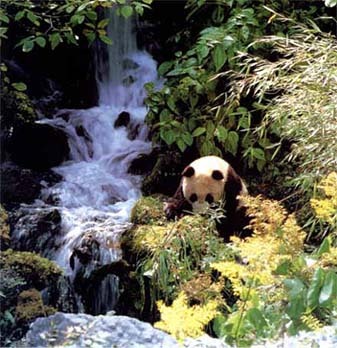 After the earthquake on May 12, 2008, the pandas were moved to Bifeng Gorge Panda Base. 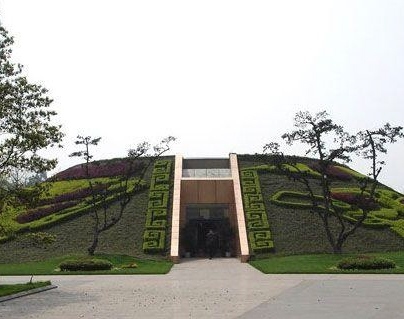 The Sanxingdui Museum in Nanxing Town, Guanghan, about 40 kilometers from Chengdu, exhibits the excavations of the ancient Shu Kingdom. It is an important archeological discovery which changed peoples understanding of ancient history and culture. This irrigation project is one of the worlds cultural heritages constructed 2,000 years ago, and amazingly continues to benefit more than 40 neighboring counties. 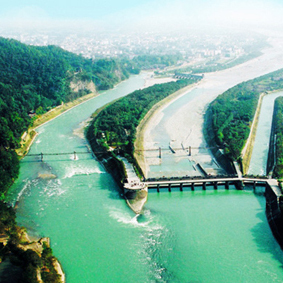 Its the oldest and only surviving no-dam irrigation system in the world and a wonder in the development of Chinese irrigation works. Chengdu is one of the few remaining cities with a really authentic tea house (Chadian) culture. The thousands of teahouses dotted about Chengdu are hugely popular with locals, especially the elderly here, who spend hours on end sitting around sipping tea and playing games or cards. Although tea houses are popular throughout China, the ones here are especially well known with a distinct and unique atmosphere. Chengdu teahouses were once traditional working mens clubs, where local men met to conduct business transactions and deals or to listen to storytellers and singers. Today, huge crowds surround card games in these places and the noise can really get quite overpowering! Others prefer to lounge around in the Sichuan bamboo chairs, chewing seeds or nuts. Teahouses throughout the city are still important locations for social gatherings. Local opera lovers and performers gather in many of the cafes although the men only atmosphere about the traditional tea house has long since disappeared. 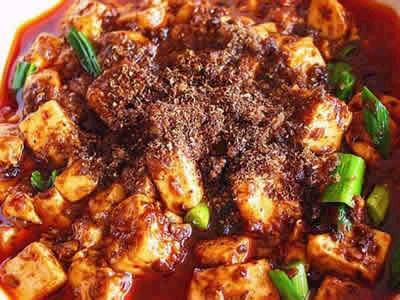 Ma Pos Bean Curd (Bean curd with mince and chili oil): one of the most influential flavors of Sichuan cuisine, served in every Sichuan restaurant. Chen Ma Pos Bean Curd Restaurant at No. 197, West Yulong Street serves the most delicious and local one. For hundreds of years, Ma Pos Bean Curd has been popular among people all over China, even throughout the world. 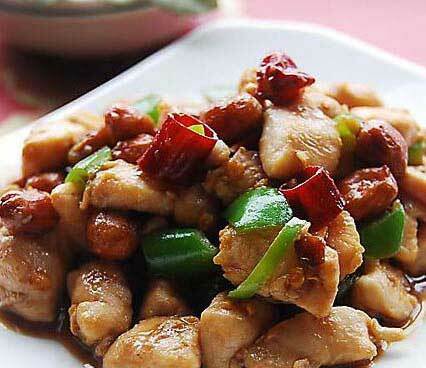 Gong Bao Ji Ding (Spicy diced chicken with peanuts): a specialty of Sichuan cuisine, diced chicken, hot pepper and peanuts. 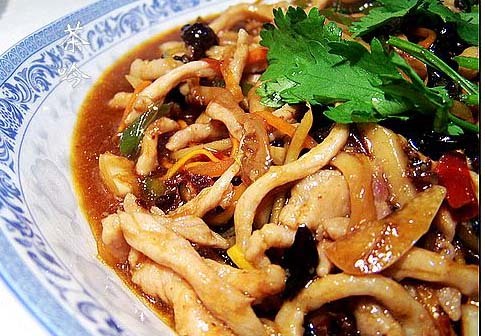 Yu Xiang Rou Si (Fish Flavored Shredded Pork): fish-flavored dish in the unique style of Sichuan cuisine. Ingredients include shredded pork, agarics, bamboo shoot and carrot. The delicious dish has no fish but has the flavor of fish. Hui Guo Rou Pian (Twice Cooked Spicy Pork Slices): A traditional Sichuan dish. The tasty pork slices are fried crisp without greasiness. When people think of Chengdu, they immediately think of hotpot. 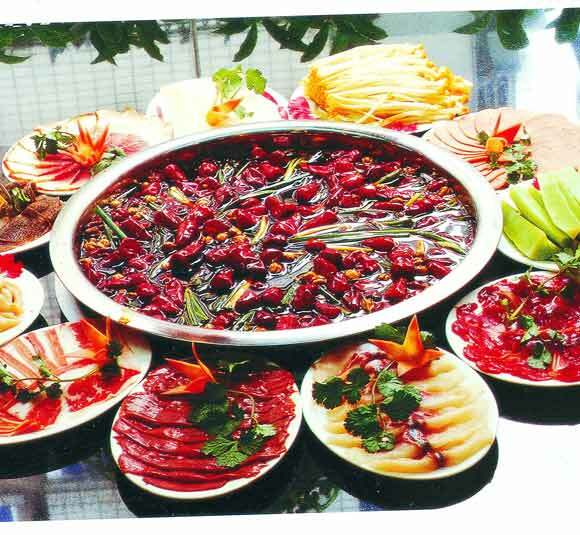 Introduced from Chongqing, Chengdu hotpot has its own style ranging from simple spicy to moderate, three o r four kinds of spices, as well as fish head hotpot, medical herbs hotpot, etc. 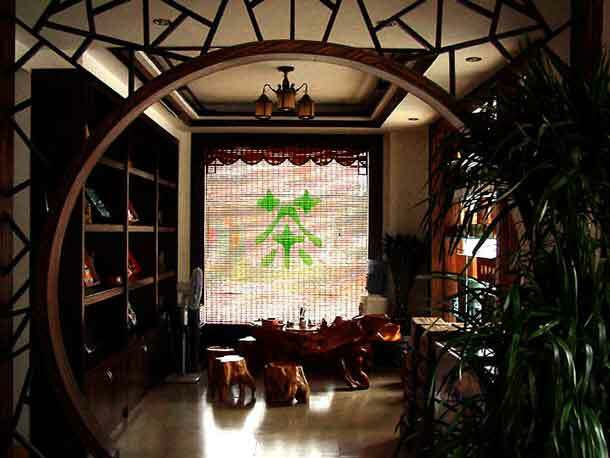 Huangcheng Laoma Restaurant: an old-fashioned hot pot restaurant, regarded as No. 1 among Chengdu hotpot restaurants. It is situated at No. 20, Qintai Road, Qingyang District, Chengu. A worthy representative of Sichuan culture and diet, Huangcheng Laoma offers hotpot, plus stunning entertainment -- a Changing Face opera performance/shadow play. Shizilou Restaurant: another old-fashioned hotpot restaurant, offers hotpots with half spicy and half light soup. 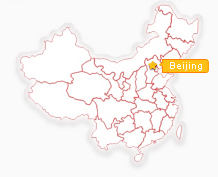 It has several branches in Chengdu, one located at No. 2, Wannianchang Road, Chenghua District. Tanyutou Restaurant: near Qingyang Palace at No. 227, Qingyang Zhengjie, Qingyang District, branches all over the country. Its delicious specialty, fish head, differs from that of other restaurants. With a history dating back to the Spring and Autumn Period (475B.C.-221 B.C.) and the Warring States Period (221B.C.-207 B.C. 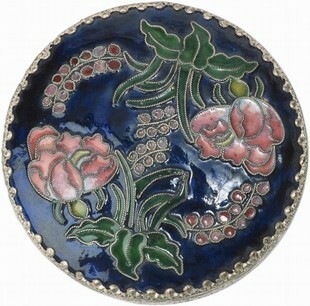 ), Chengdu lacquer ware is renowned for its ability to resist corrosion and aging, and for its unique gloss. When the Mawangdui Han Dynasty Tombs were uncovered in 1972, a large number of exquisite Chengdu- lacquer ware pieces were discovered. Visitors are astonished that their brilliant appearance has remained for over 2,000 years. However, its durability doesnt come accidentally. 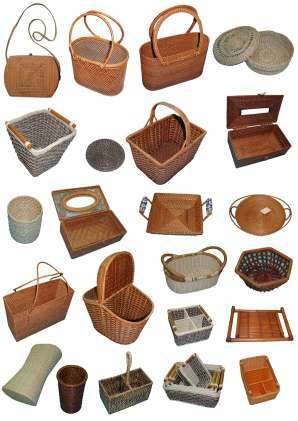 Originally using wood as its roughcast base with the addition of plastic, bamboo and paper later, the complicated technique of lacquer-ware making has remained nearly unchanged to this day. No lacquer-ware piece is finished until 72 procedures are taken, not to mention the fact that the roughcast must have been in storage for 30-40 years before lacquering. Chengdus shopping centers converge at Chunxi Road, Zongfu Road and Luomashi Area. Here you can shop for a huge range of wares, with everything from souvenirs and street stall items to supermarket and department stores goods on offer. Shopping malls, department stores, supermarkets and especially small stands are widely scattered in the areas around Chunxi Road offering products ranging from souvenirs to living and travelling necessities. 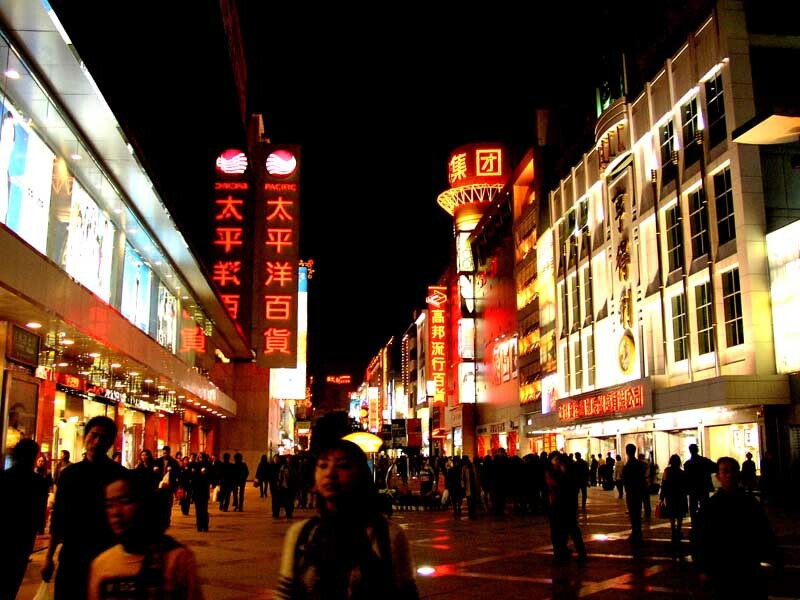 The following list may help you to have a pleasant shopping experience in Chengdu.